The 85th annual Academy Awards are this Sunday but there's still plenty of time to plan a fabulous Oscar party. 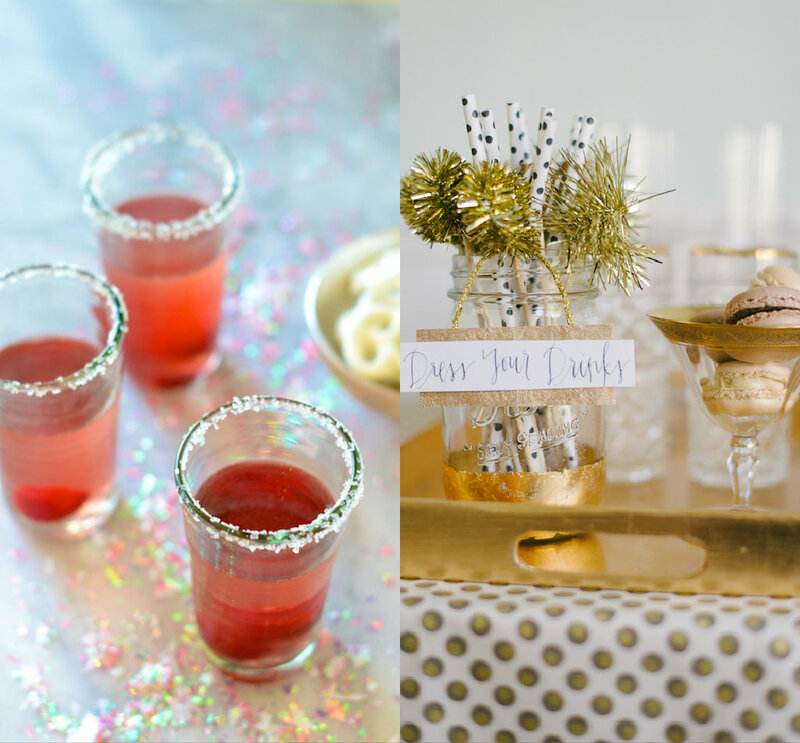 With free printables, fun food ideas, and a little imagination you've got everything you need for a winning night. Serve plenty of snacks, like mini crab cakes, or classic movie fare like hot dogs, candy, and popcorn. 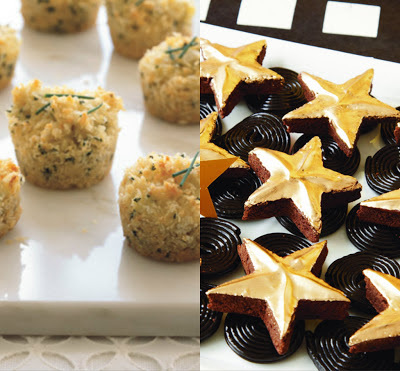 Get creative with food presentation--think edible gold glitter sprinkled on cupcakes or a director's clapper as a serving tray. These star brownies and licorice wheels from Amy Atlas mimic the Hollywood Walk of Fame and little film reels. The Oscars are a black tie affair, so it's always appropriate to serve champagne at your soiree, but another fun idea is a signature cocktail, like the Oscar Night Smash from Camille Styles. And of course any drink is even more dazzling with festive swizzle sticks. No matter how funny the host is (this year it's Seth MacFarlane) there are inevitably moments in a televised award ceremony that induce uncontrollable yawns. 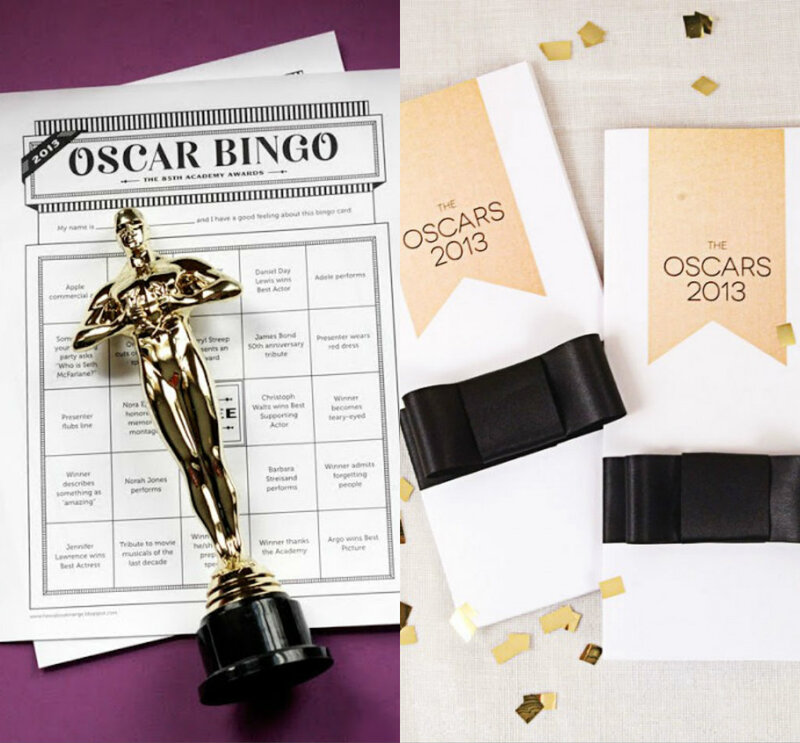 Keep the party going with printable Oscar Bingo, or have guests fill out their own Oscar ballots, like these from One Charming Party. Both can can be made into drinking games if things get really dull. 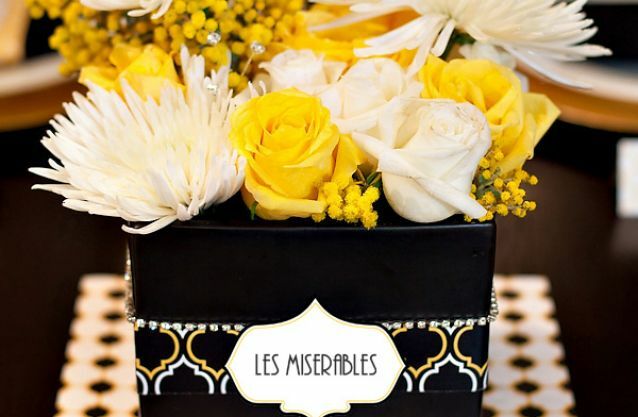 Decorations can be kept simple and require virtually no thought at all. Printable labels from Hostess with the Mostess look great on vases, in frames, or on serving trays; gold star confetti can be thrown on tables; and a cheap, plastic red tablecloth can be made into a faux red carpet. Happy Valentine's Day and Welcome!